IncubatorWorks Alfred is a state of the art incubator in Alfred, NY offering services and facilities to foster growth of entrepreneurial businesses in ceramics, glass, advanced materials, and related technology-based industries. The incubation program was established in 1992 and previously operated as the Ceramics Corridor Innovation Center. Located within one mile of Alfred University, the facility offers startup, light manufacturing, and laboratory space suitable for R&D. Operating in conjunction with sister facilies, the Erwin-Corning Incubator in Painted Post, NY, and at ELM Airport Park, the Alfred incubator is a 30,000 square foot, two story facility subdivided into office, laboratory, R&D and light manufacturing space. 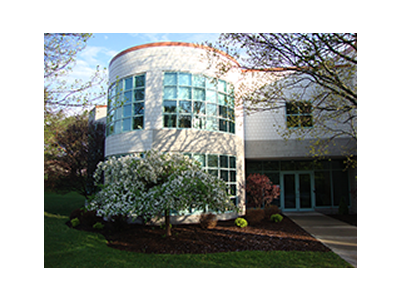 This facility serves as the ideal location for ventures affiliated with the Alfred Center for Advanced Ceramic Technology. Since their inception in 1992, the IncubatorWorks facilities have graduated 30 new businesses generating $100 million in employee payroll.